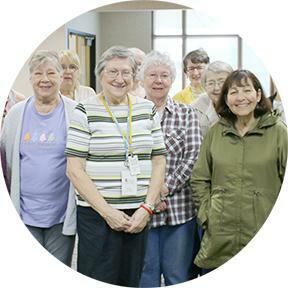 The Friends and Foundation of Fremont Public Library District is the main fundraising body and a 501c3 organization. We believe that a good public library is vital to the intellectual, cultural and social growth of our community. What do the Friends and Foundation do? We organize and maintain the “Book Nook,” offering for sale donated and library withdrawn books, movies, music, audiobooks, and more. We coordinate our popular book sales with donations of materials from our community. Currently, we offer a book sale the second Saturday of each month from 10:00am-4:30 pm, and Sunday from 1:00-4:30 pm, on the second floor. We promote special fundraising events such as Trivia nights, T-shirt sales, etc. to help with specific fund campaigns. We facilitate all donations that come to the library, including those from the annual envelope campaign in the library's December/January newsletter. Meetings occur the second Wednesday of each month at 1:00 pm. Light refreshments are served beginning at 12:30 pm. To become a dues-paying member, fill out our Application Form and mail it to the library or hand it in to any service desk. We welcome clean, gently-used Books, CDs, Vinyl Records, DVDs and Blu-rays. Monetary donations may be made via check or cash by completing this form and returning it to the Friends/Foundation by mail or in person at any service desk at the library. At this time credit card donations must be made in person at the library's Checkout Desk, but we will be providing an online donation option very soon. 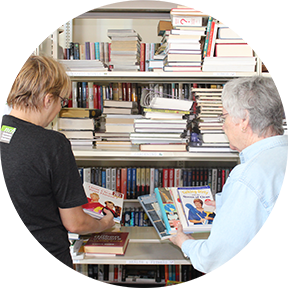 The Friends of Fremont Library book sale takes place on the second weekend of each month, Saturdays from 10:00 am to 4:30 pm, and Sundays from 1:00 pm to 4:30 pm.